This function allows the users to generate report for List of Sports School Students and Public Exam Results. Click on the Search By dropdown and select Query Name. Click onto the Search button. On the results shown, click on the HTML link to run. Select Institution via prompt button. Select Cluster via prompt button. Select Campus via prompt button. Select Acad Year via prompt button. Click View Results button to view the outcomes. 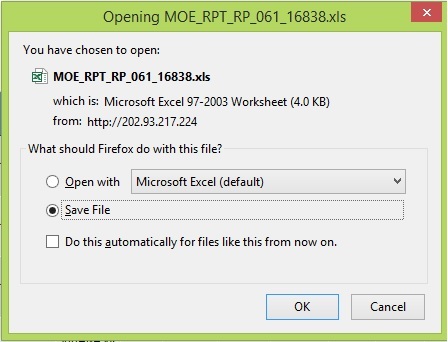 Click Excel Spreadsheet link to download. 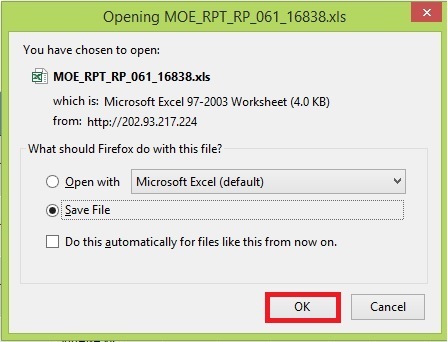 Select Save File to save the report to your machine.